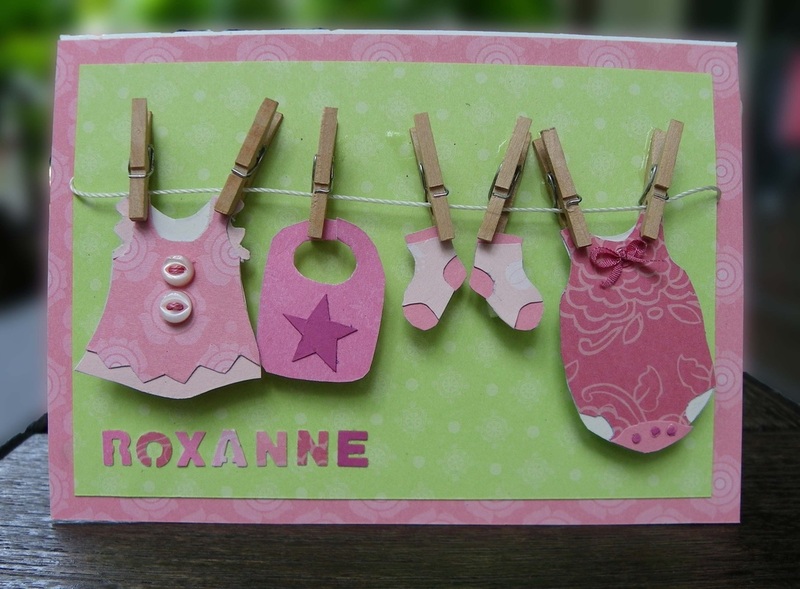 Create a cute washing line filled with baby clothes using the template below. Either print the template out directly onto the reverse of your chosen papers, or print it out once onto a plain piece of paper and use tracing paper to transfer the design onto your chosen papers. To print the template - Open the pdf doc (above) and print. 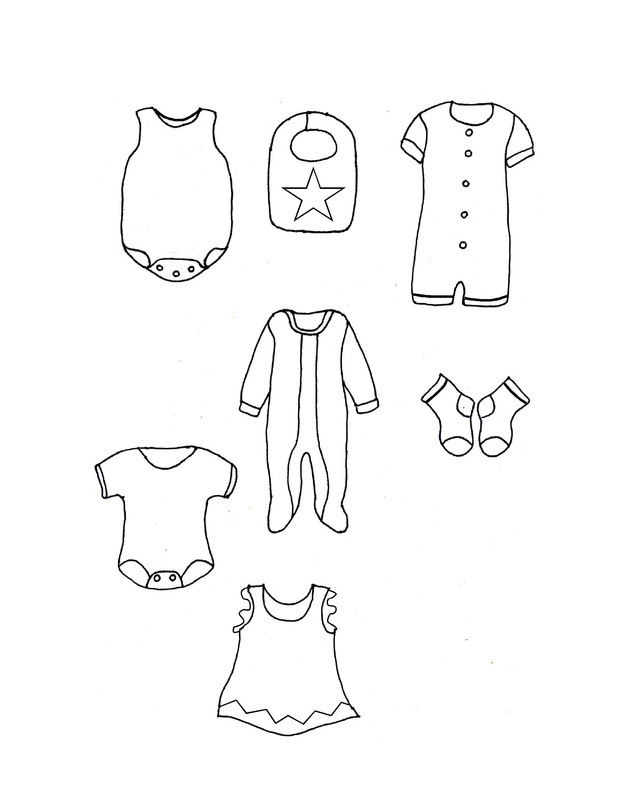 For each item of clothing, you will need to print or transfer the template onto as many pieces of paper as colours you need. For example, with the dress I used one copy in white for the neckline, overlaid with a copy in light pink (neckline removed) for the frills, and a third copy in darker patterened pink (with neckline and frills removed) for the dress. The socks were made using one copy in dark pink paper placed at the back, and then light pink paper with the top and heel and toe removed was overlaid.